It’s one thing to state your mission. It’s another to talk about it. But, let’s face it. Talk is cheap. How do you rise above the noise? LIVE your beliefs. We’re firm believers that actions speak louder than word. Networking, education, and charity are central to how we engage professionally to build our reputation as trusted, educated, and philanthropic creatives that take brands to new levels of success. On September 20th, 2018, we made good on our promise to empower entrepreneurs and aspiring leaders. 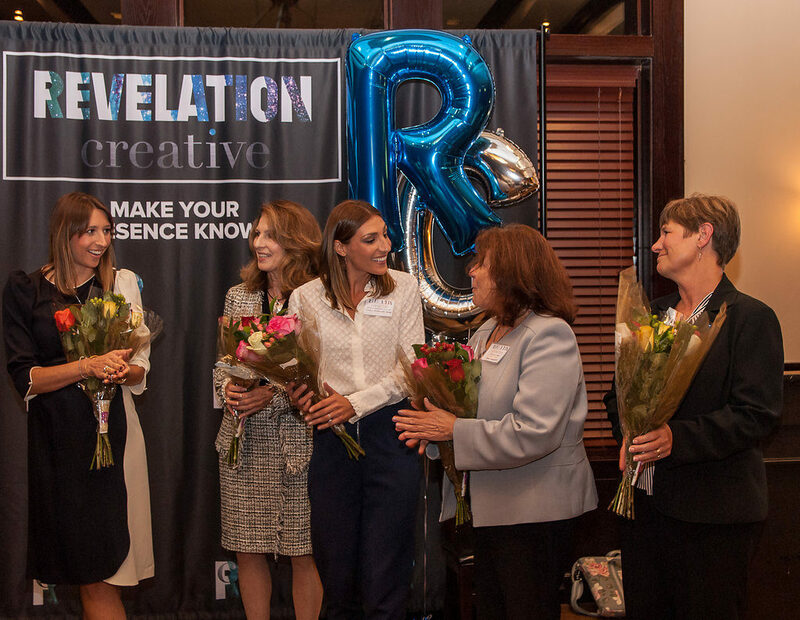 Before we recap the evening, the Revelation Creative team cannot thank our sponsors, speakers, and attendees enough for being a part of why our first-ever Business Back-To-School event was such a success! We loved seeing so many fierce females, and progressive gentlemen come together to raise money for a worthy cause. It was a truly humbling experience to see all of our planning and hard work come to fruition. 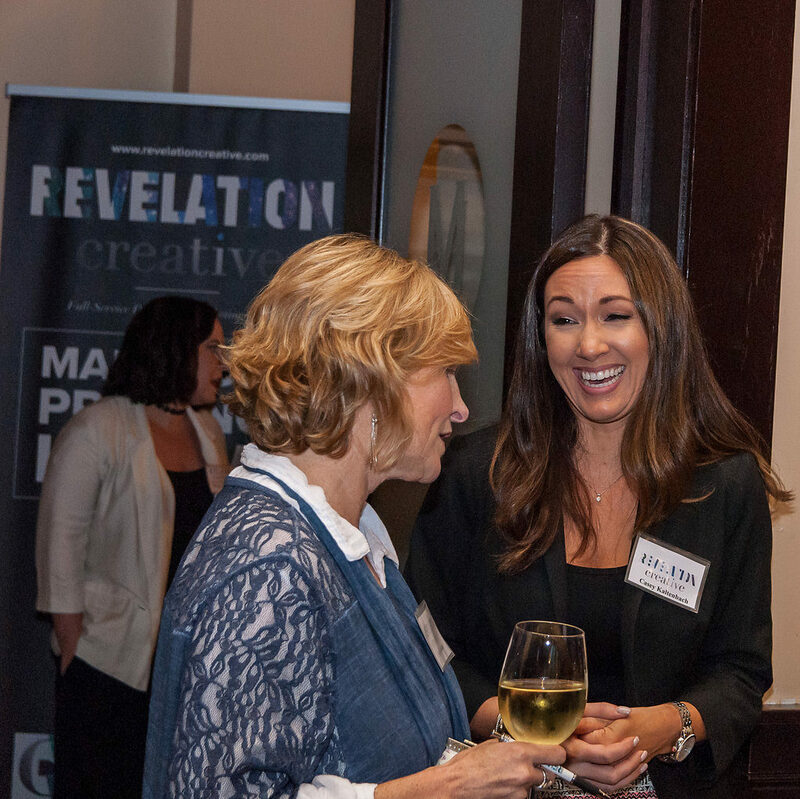 At Revelation Creative, networking is at the core of how we grow our business. 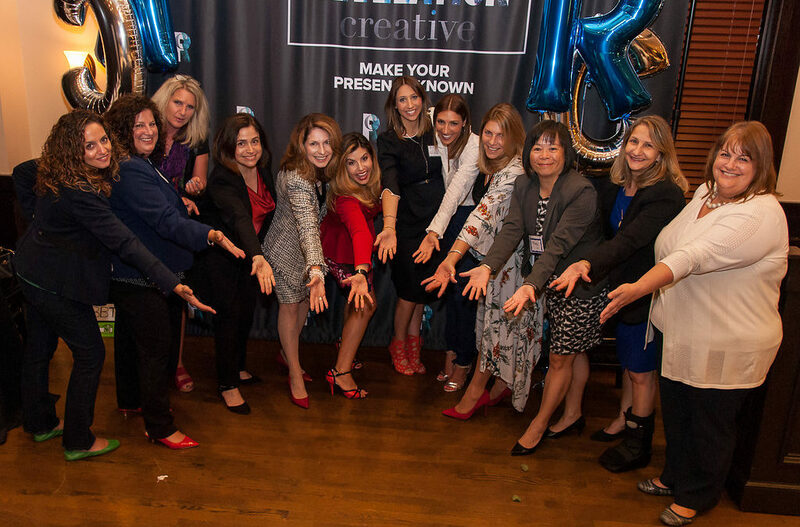 Many of the attendees at this educational networking event may have been there because they met Gina Marie or another member of the RC team while at a different networking event. Networking is like playing “Six Degrees of Separation.” There’s always a way to connect the dots between how we can all help each other grow our businesses. It’s important to remember that while we’re ‘networking’, it’s not about selling to every person we speak to. Instead, we strive to build lasting relationships that end up being mutually beneficial. Introducing yourself to strangers isn’t everyone’s strong suit, so we like to find a way to help break the ice. 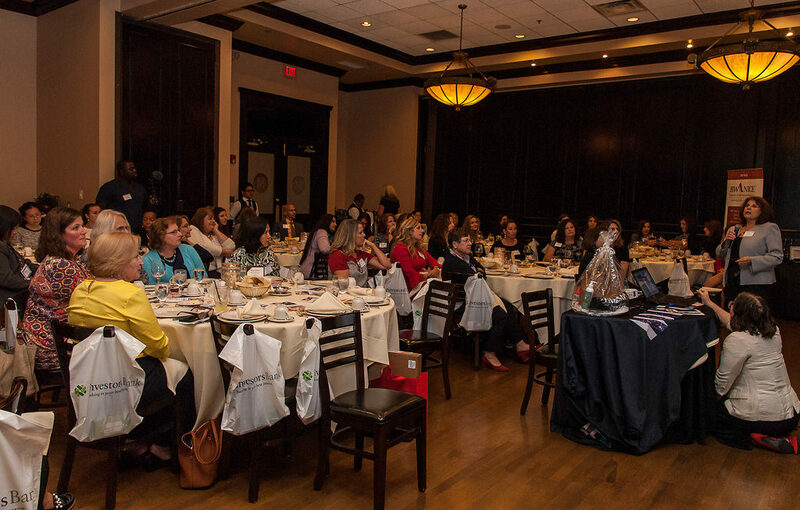 When we host our networking events, it’s our goal to make sure our attendees are relaxed and ready to have fun. This event was no different. At the Business Back-to-School event, we urged attendees to participate in our signature marketing trivia game. With only two simple rules, it’s a fun way to encourage our attendees to meet new people. The first rule is that you can’t use your phone to search for the answers. But, the integral rule is the one that helps our attendees to approach and collaborate with strangers. By teaming up with your fellow attendees to answer questions, you’re opening the door for future conversations. While offering an incentive is great, the biggest payoff our attendees received was creating lasting connections. As the networking session came to a close, everyone took their seats to enjoy dinner while our speakers shared their insights into the worlds of marketing, financial fitness, and securing funding for business – big and small. Each presentation lasted around 20 minutes before we opened up the floor for questions. We hope that everyone walked away from these educational sessions with new insights to help optimize your business strategies. We can’t thank our industry experts enough for sharing their thoughts, guidance, and experiences. Stay tuned for the videos that will feature the presentations by Joan Antoniello, of Mazars, Janice Mills, of Investors Bank, and Revelation Creative’s very own Gina Marie Mattei Kleinhans. 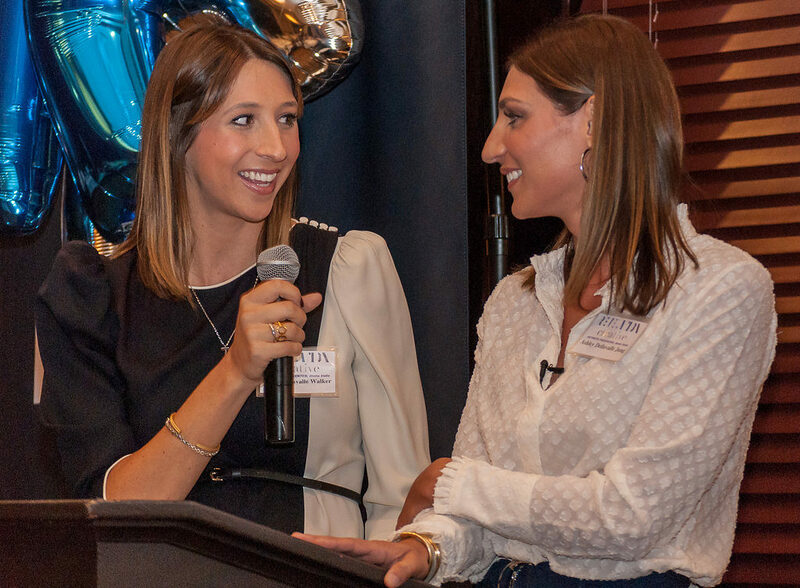 Our educational session was closely followed by the keynote presentation delivered by Stella Valle co-founders, Paige and Ashley. They took the audience through their personal and professional journeys. Hearing their numerous struggles and hard-earned victories were inspiring. From competitive swimmers to West Point graduates, there’s no denying that these ladies are savvy and courageous. They were able to truly harness what it means to be #WomenWarriors and channel that into strong yet feminine jewelry. Paige and Ashley explained to a captive audience about what it truly means to be mentally tough. You’ll get to hear their words of wisdom once our video of their presentation is available. We hope that you will be motivated to challenge yourself to unlock your business’ full potential from their empowering story. In addition to helping entrepreneurs and aspiring leaders grow their businesses, this event was about helping our community. 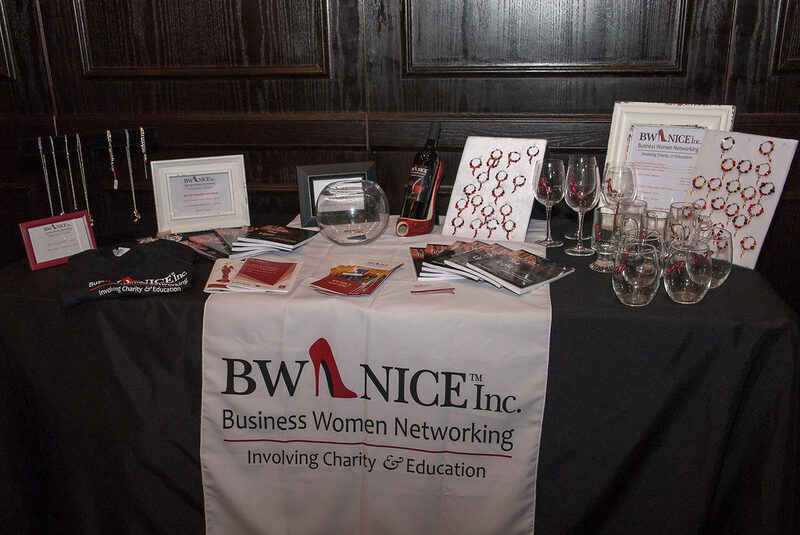 Proceeds from the evening will benefit BW NICE Inc., an organization that provides support to survivors of domestic abuse and sexual assault across the state. To-date, we’ve raised in excess of $5,000 from sponsorship, ticket sales, and donations to benefit this worthy cause. Even though the event is over, you can still get involved by donating to our Facebook Fundraiser. Click here to contribute today! Now that our inaugural Business Back-To-School event has come and gone, the Revelation Creative team’s work is never done. Make sure you sign up for our newsletter to find out when your next opportunity to network with us might be. We are humbled by all of the kind words and positive feedback we’ve received. We can’t wait to plan for next year! We hope to see you there.